Zhou Xun: Zhou Xun finishes shooting "Painted Skin"
Recently Zhejiang province has got rain and fog but such bad weather didn't affected filming process of movie Painted Skin because the majority of scenes were shot in rooms. Leading actors Chen Kun, Zhou Wei and Zhou Xun respectively finished their final scenes. It was reported the story of Painted Skin hapened in the end of the year and although there was sleet in Hendian, staffs had to use artificial snow. Zhou Xun who had the final scene, received warm applause and said in the interview:"On recent days, the temprature is low and it rains all the time. Moreover, many scenes were implemented at night and some subtitutes were injured but all people worked as the one, tried the best to complete all before Spring Festival. 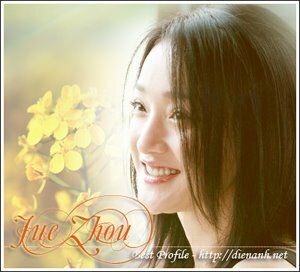 Bad weather didn't affected filming process but made Zhou Xun's schedule changed. She had to stay in Hendian because she couldn't get ticket to Beijing. 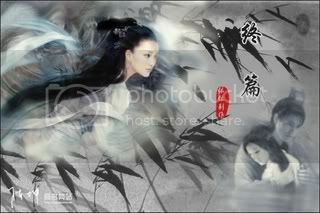 She said that she would be Beijing in Spring festival and prepare for new movie directed by Hark Tsui "Women are not bad"